At Shine Dental Care we are committed to providing high quality general dentistry in a friendly and relaxed environment. Our understanding team of clinicians work together seamlessly to offer a full range of general dentistry services tailored to you and your individual needs. 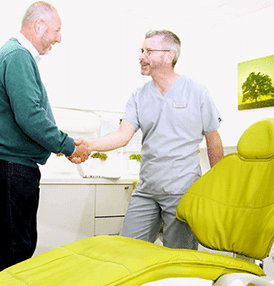 As a patient at our practice you can rest-assured knowing that we have your best interests at the forefront of everything that we do, helping you to maintain your dental health for life. We’re here to help you feel great about your smile and enjoy better dental health. As a practice focused on general, cosmetic and restorative dentistry, we have a diverse range of advanced treatments to suit your individual needs. We hope to welcome you to our modern, friendly practice soon. We understand how upsetting a dental emergency can be and provide emergency appointments when needed. Our dentists are highly experienced in many different fields including orthodontics, dental-implant treatment and root canal treatment.